According to The Emerging Market Serviced Office Review 2015, serviced office providers have grown by 10.25% within 12 months. This growth of serviced office providers has been observed worldwide including the Middle East and Europe. Serviced Office Providers complete a gap in commercial office rent providers. They offer fully furnished office spaces to new, small and expanding businesses. As these serviced providers are evolving, different breeds of them are emerging. You can now choose between big serviced offices providers or local ones. Each of them offers their own unique benefits. Choosing one over the other depends solely on your needs and demands. Since serviced offices in Dubai are still an emerging trend, there’s a lot of confusion about them. Let us clarify the two types of serviced office providers and the benefits each provides. Big Serviced Office Providers operate in more than one country. They have serviced offices in different countries and regions. As the name suggests, they are the big whales who have been competing in this arena for quite some time. They dominate the industry, while local serviced office providers fill the gap with lower-cost options. Local Serviced Office providers operate on a smaller scale and usually operate one to two business centers in the same city or locale. 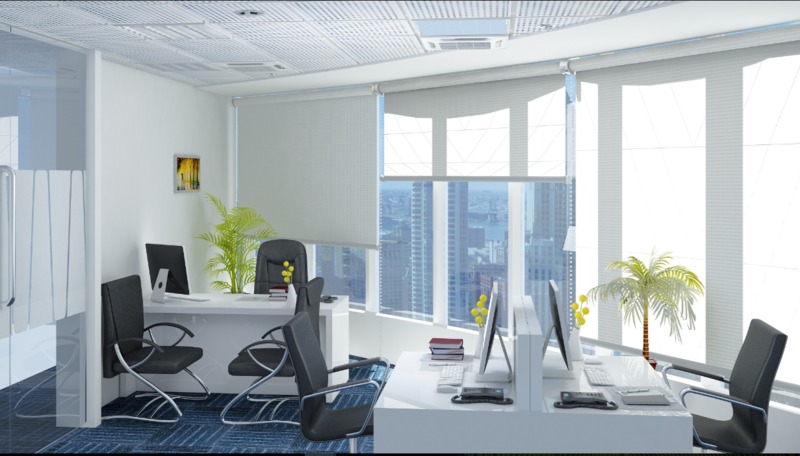 Big serviced offices have serviced offices available in different countries and regions. If you plan to expand from Dubai to Kuwait in the near future, you’ll be able to work on the same contract details with the same provider. This way your offices in different countries will be consistent. Big Serviced Office providers usually comply with international standards. They have seen the best in the business, and in most cases have set those standards and best practices, and are able to provide a more standardized experience. You can enjoy similar office layouts in different countries. The aesthetics and services are the same wherever you go. Big serviced providers usually spend higher capital. They invest in properties in premium locations so that their customers can have access to the prime spots in a city or neighborhood. This might mean extra capital investment for clients, but you can easily justify this with improved business location and opportunity. There are several small local serviced office providers that offer lower cost options. These offices might not be in the best locations, but they come with all the infrastructure and features you might need for your office. If cost is an important consideration as a small or new business, you will benefit from drawing up contract with local providers. Furthermore, parking and ancillary costs that are associated with in-house tenancy costs might be substantially less. Local providers understand the cultural specifics of their area. Since the Middle Eastern culture offers its unique customs, local providers often better understand the needs and aesthetics of the cultural proclivity. Many of tenants in local business centers are also in the same business scale bracket which is beneficial for networking and collaborating with your neighbors. Which one is better: Big Serviced Office Providers or Local Ones? There is no right and wrong serviced office provider or business center. Choosing one over the other merely depends on your business model, networking opportunities, and business preferences. If your business model is geared for extensive growth into other regions and countries with a cost-effective approach, local serviced office providers should be your preferred option. If you’re looking for a standardized model wherever you go, then your bigger business centers are the way to go. If you are starting up and want to cut down costs, a local serviced office provider will be a better option. Furthermore, if you treading new waters in a sea of mixed culture, a local provider can help you navigate and understand the intricacies of the work environment. If you are still unsure whether you should go for big serviced office provider or local ones, talk to us at fluidmeet. We have been providing objective counsel and advice to many businesses throughout the years. Visit www.fluidmeet.com for more information on our workspace options.